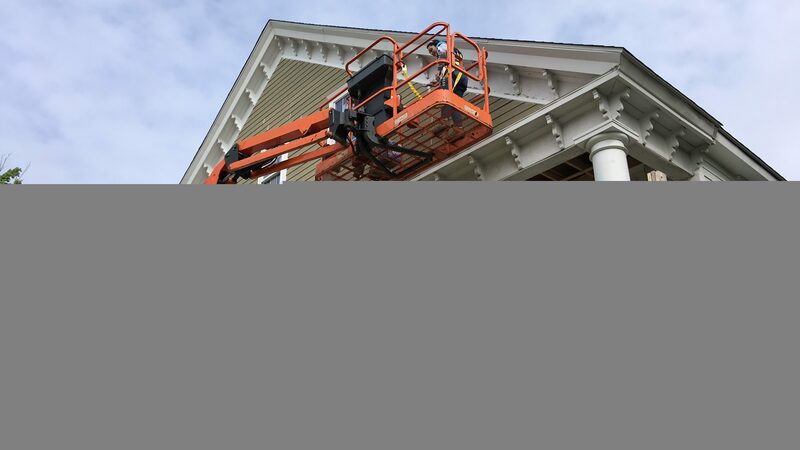 About the Project: The building at 172 Concord Street in Holliston is a 110-year-old home donated by the Holliston Housing Trust. 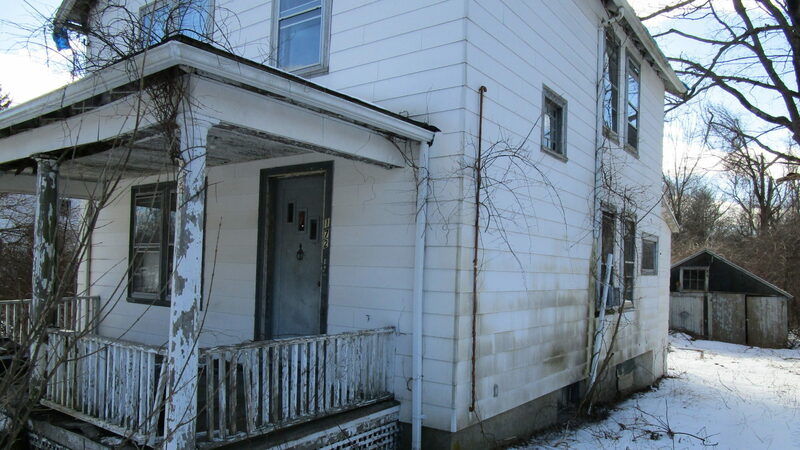 Abandoned for about 8 years, the home has fallen into serious disrepair and requires extensive renovation to transform it into a livable 2 story, 3-bedroom single family home with 1 ½ baths and 1,528 square feet of living space. The home will have two parking spaces, and is located on a .5 acre parcel. Once completed, a local family will be be able to live in a decent and affordable home in a safe and caring community with an excellent school system. About the Project: The building at 33/35 Main Street contains two condos, each with two bedrooms and one bath, and the bottom unit being handicap accessible. 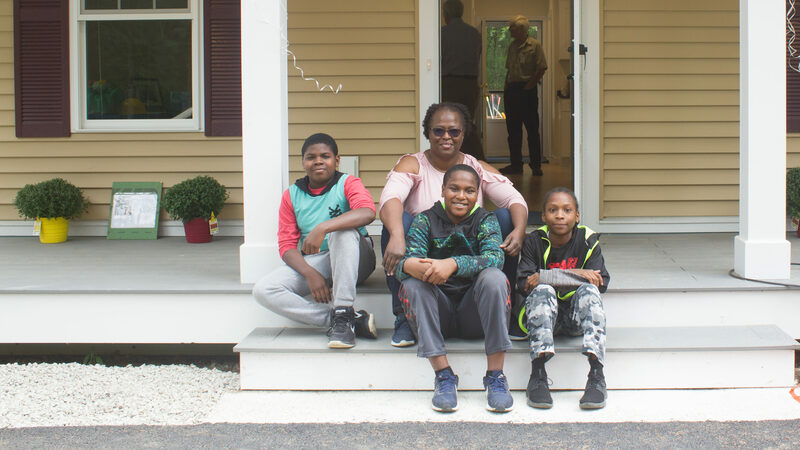 We dedicated these two local affordable homes in June 2018 to Gilana and her son, and Coreen and two boys. The building at 37/39 Main Street was converted into two larger condos, one with three bedrooms, and the other with five bedrooms. Each unit has two bathrooms. The units are structured as a first floor and second floor home. The first floor unit is handicap accessible. The street-facing exteriors of the buildings—one of which dates to 1800 – was maintained, brought up to current code and lead paint was removed. 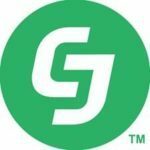 Both buildings were built with modern, community fit materials as well as including energy efficient features with an Energy Star Plus rating. 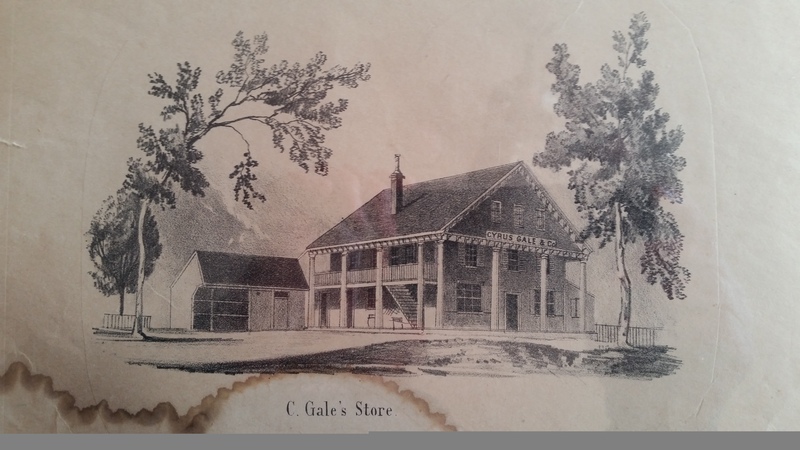 The 37/39 building was at one time the Gale General Store in the 1800s. Many historical documents have been unearthed, and given to the Northborough Historical Society, including an old ledger from the store. We love being a part of history, and with Mr. Gale’s love of philanthropy, we like to imagine he would have thought highly of our plan to provide four local families with affordable homes. 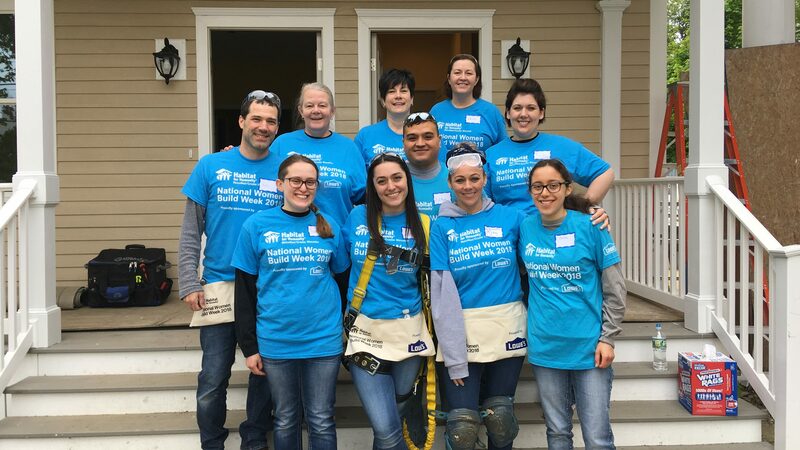 A big thank you to the sponsors of the Northborough build project! 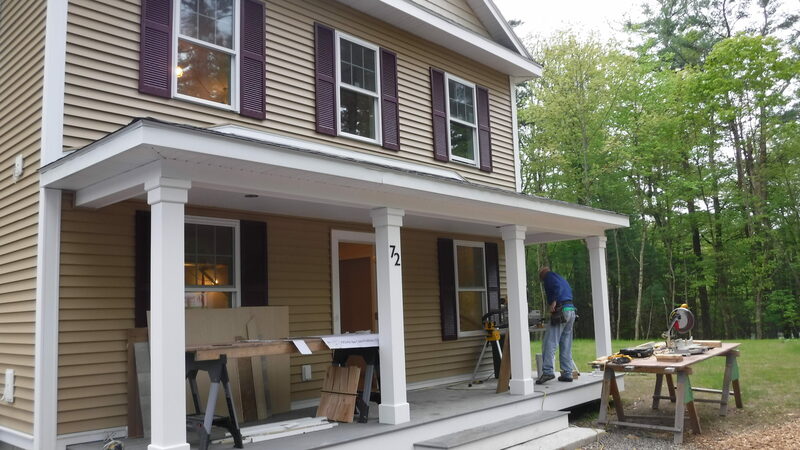 About the Project: The Holliston Housing Trust generously donated two lots for this home build project. 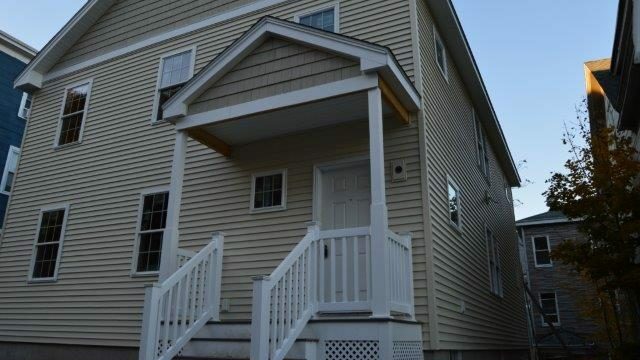 Each single family home has 3 bedrooms, 1 1/2 baths, and is located in a beautiful, quiet neighborhood on Chamberlain Street in Holliston, MA. Two families were selected to build in partnership with us on this project! 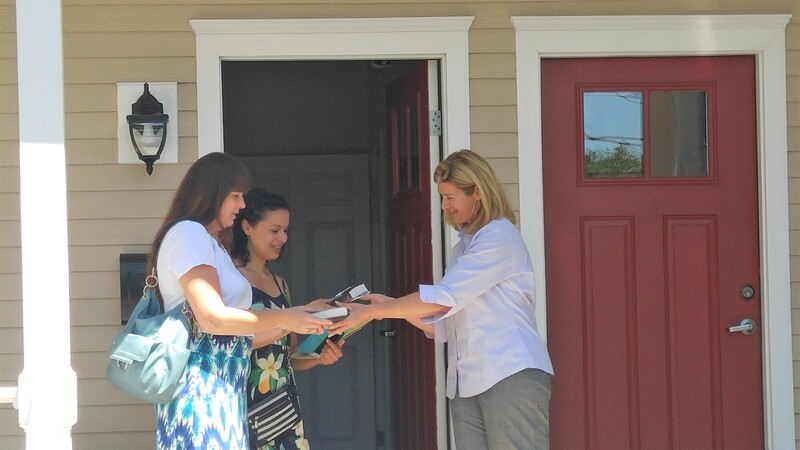 Maggie and Mona, two single mothers who were excited for the opportunity to build and purchase their very own homes. 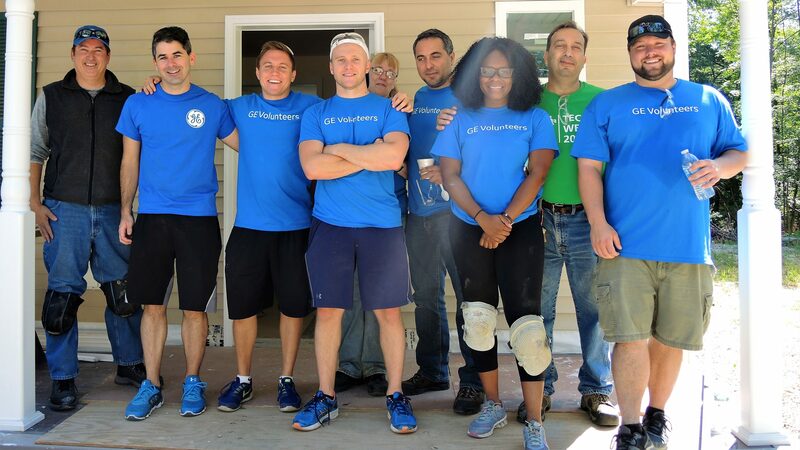 While building alongside volunteers, donors, and sponsors they achieved the strength, stability, and independence they needed to build a better life for themselves and their families. 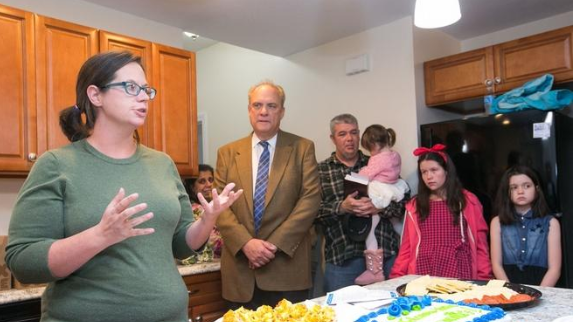 Originally, Maggie and her family were slated to move into the first home in Holliston that became available. 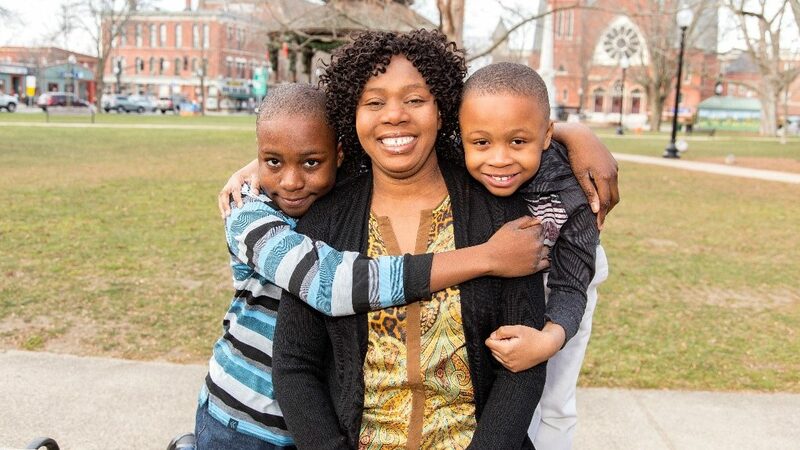 However, when she learned her soon to be neighbor, fellow Habitat homeowner Mona, was homeless, Maggie offered the first home to Mona and her family. 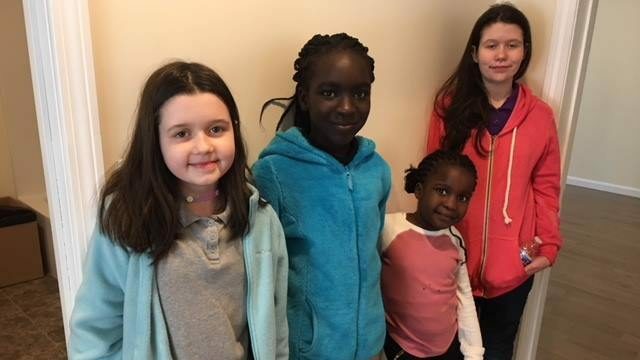 Because of this very large act of kindness, Mona and her family were able to move into their safe and affordable home in November 2017, while Maggie patiently waited for her own forever home. 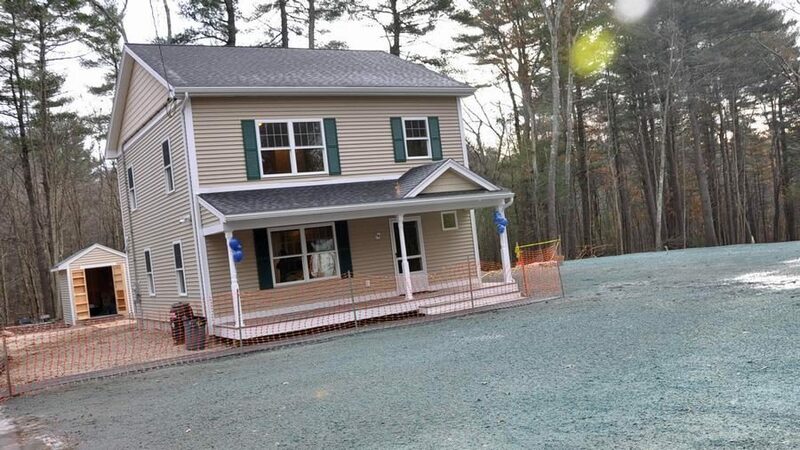 The second Holliston home located at 72 Chamberlain Street - Maggie's home, and our 50th home build - was dedicated to Maggie and her family in September 2018. 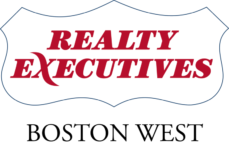 A big thank you to the sponsors of the Holliston build project! The Holliston Housing Trust: For donating the land and funds in support of this project! And a special thank you to the students and staff at Fred W. Miller Elementary School for their continued fundraising efforts to support these home builds. 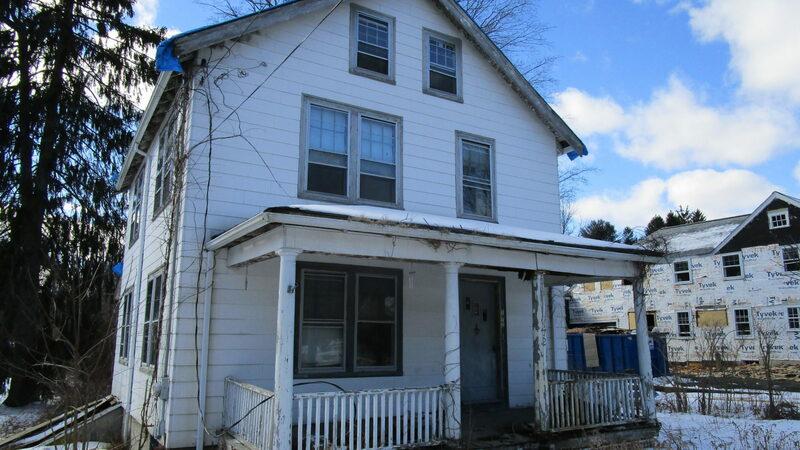 About the Project: A fresh start for 21 Aetna Street! Demolished over the Thanksgiving weekend in 2015, what was once a decrepit, vacant building is now a new, modern, energy efficient duplex. 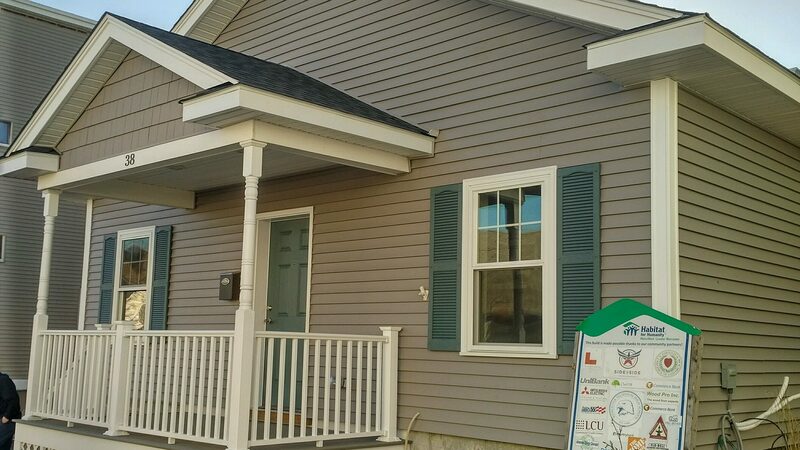 Thanks to local sponsors and volunteers this duplex is now a wonderful new home to two families in need. 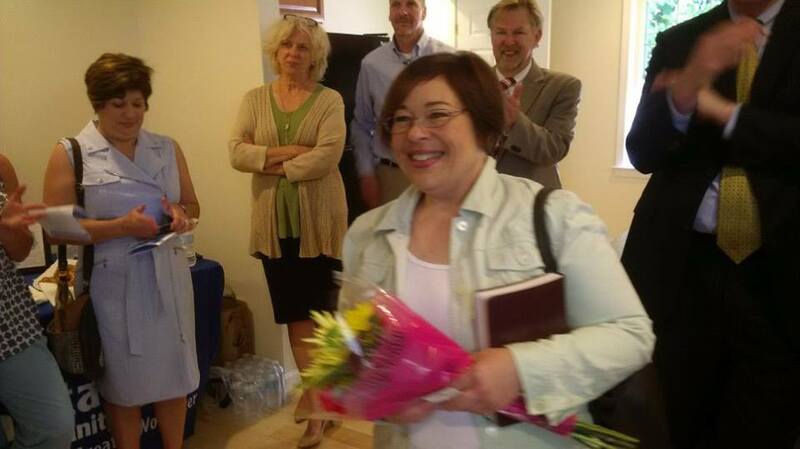 Volunteers, sponsors, donors, friends, and family gathered to welcome the Romano family into their new local affordable home in June of 2017. Thank you to everyone who gave financial support and helped build alongside the Romano’s to make their dream of homeownership a reality. Jackline and her daughters moved into the other duplex next to Gina and her daughter located at 21 Aetna Street in Worcester. Previously Jackline and her daughter were living in a neighborhood where her children were unsafe. Her children now have a safe, affordable and comfortable place to play, develop, study and grow. 21 Aetna Street is located near Worcester Academy in a neighborhood impacted by urban blight. The previous home on the lot was unsuitable for occupancy. It has since been demolished and turned into a two-family home. We are working with the City of Worcester to repave the road in accordance with our neighborhood revitalization initiative. 21 Aetna Street is part of a larger, 5 year plan to complete a Neighborhood Revitalization of the area known as Union Hill. 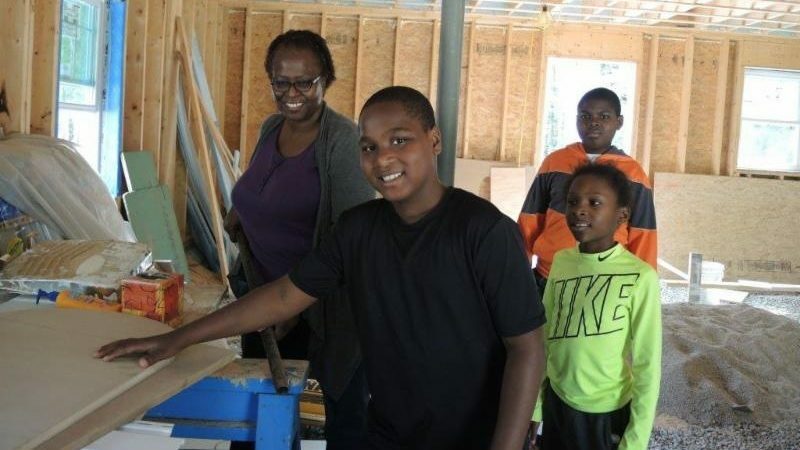 Through collaboration with the City of Worcester, Oak Hill Community Development Corporation, Worcester Academy, the U.S. Housing and Urban Development Department and area residents HFH - MW/GW is working to have a significant impact on the area building homes, community and hope. 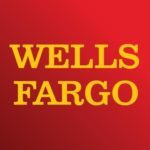 A big thank you to the sponsors of the Worcester build project! 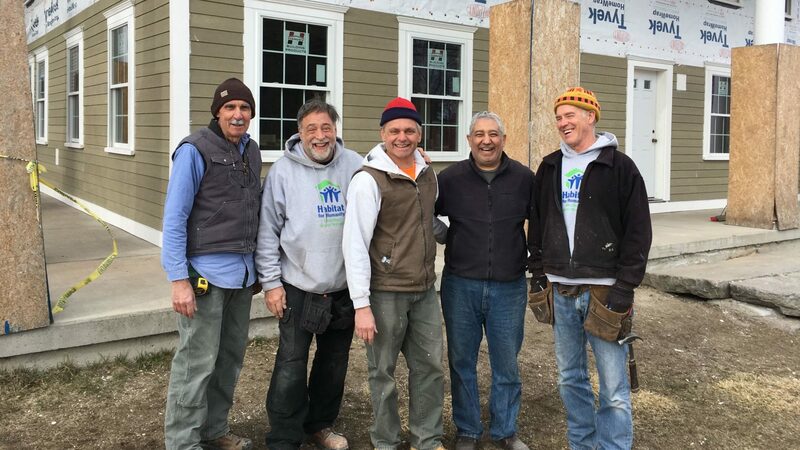 About the Project: After officially breaking ground on November 8th, 2016, HFH - MW/GW has completed a single-family home located at 38 Aetna Street for a veteran family. We dedicated this local affordable home to the Uvanitte family in November of 2017. 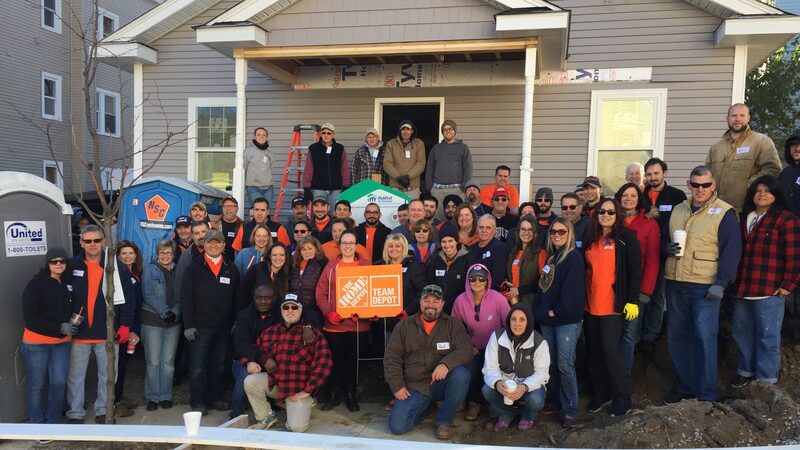 Originally a vacant lot, this property now is a single floor, 3 bedroom, 2 bath home designated for a veteran and their family as part of our Veterans Build Initiative. In addition to its inherent Age-In-Place design, this home was built as a “net-zero energy ready” home. In partnership with local companies, this home is part of a pilot program to create a standardized plan for affordable, net-zero homes. This will ensure that homes remain affordable as energy bills are kept low. 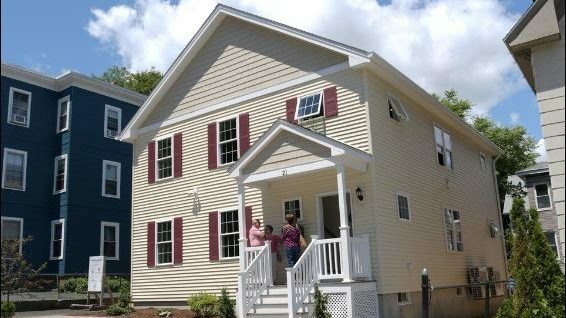 This project is also the second build as part of our Neighborhood Revitalization of the Union Hill area of Worcester. Thanks to many partners including the City of Worcester, the Oak Hill CDC, and Worcester Academy, we plan to remain building in Union Hill in order to have lasting improvements on one of the most depressed areas in the city.